Sensitive teeth can be caused by a variety of different factors but one thing this painful condition has in common is that it can be a real burden that stops you from living your life to the fullest. Please don't suffer in silence, speak to one of the dental professionals at Smile Essential in Leicester about any tooth sensitivity you may be experiencing. Does the thought of biting into an ice cream or a cold, hard apple make you wince? Dental erosion, or the loss of tooth enamel, can cause sensitivity. Enamel is the hard outer coating of your tooth that protects the sensitive, softer dentine underneath. 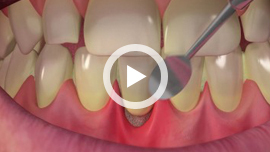 If enamel is worn away or eroded, this dentine is exposed, which can lead to pain and sensitivity. This can be worsened with extreme temperatures. Erosion can be caused by your diet. Frequent consumption of high sugar or high acid food or drink, tooth brushing habits, such as brushing too hard, tooth grinding, certain medical conditions and eating disorders including bulimia. Temporary pain can be experienced after tooth whitening and this can be treated with over the counter painkillers. For top tips on protecting your enamel and for effective treatment of tooth sensitivity, please contact our Leicester dental practice in Narborough Road for a dental health examination and we will create an individualised care plan for you. Being able to consume hot and cold food and drinks. Are you worried about sensitive teeth? Call us now on 0116 2891317 for expert guidance and assistance.